Check what happened in July on Zuigo Madrid! Zuigo Madrid went live at the beginning of July, and we are happy to say that the first events listed were a great success. Here is a short summary of the most popular ones, get inspired! Make up session at a private terrace with mojito drinks! Gonzalo Para, a professional stylist, organised an original beauty session where the attendees could enjoy fresh mojitos while learning make up tricks. Each of the participants brought the beauty products they usually use and Gonzalo advised them on how to make the best out of them. Pasta Party - Make your own fresh pasta! 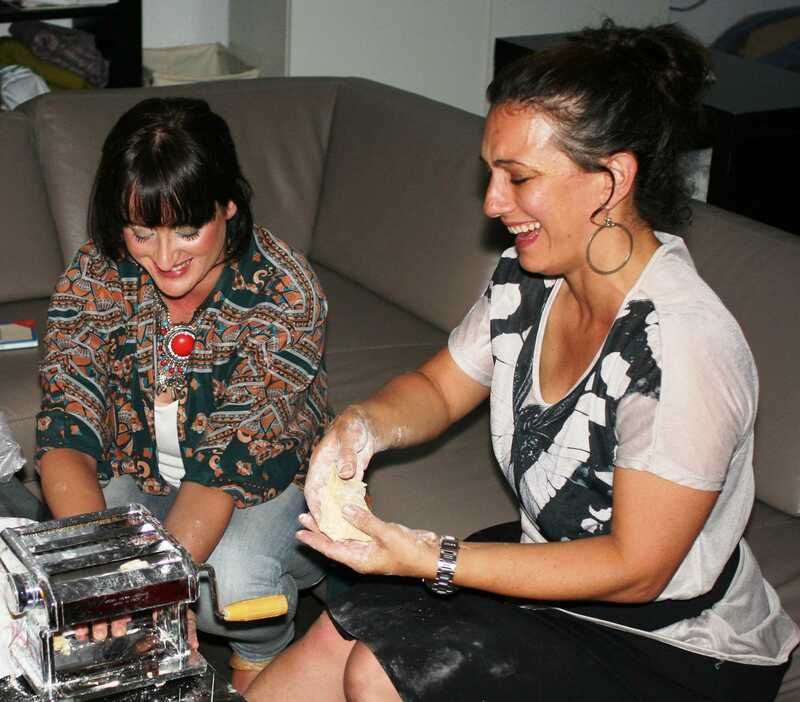 Thanks to Paola, a real Italian "mamma", whose expert advice was key to us being able to cook proper fresh pasta, we enjoyed the most amazing pasta dishes cooked by ourselves in a very fun and exciting evening. Spain has such a wide variety of cheeses that is almost impossible to know about all of them. 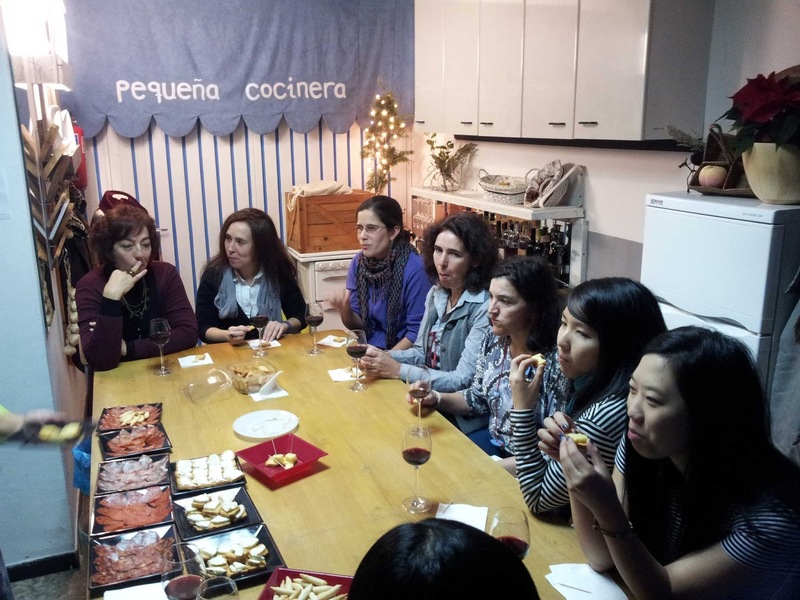 In this special cheese tasting, organised by Pequeña Cocinera, we got to learn about cheeses from different Spanish regions in a cozy and layed back environment. We got to touch, smell and taste! If you would like to see all the events that took place in Madrid, please click here. To start organizing your own events, just go to Zuigo and press "Organize". Last 11th of July, Zuigo celebrated its 2nd Openhouse for Organizers with a group of very interesting people who introduced us to their very innovative and high quality projects. Afinarte - a different approach to learning music. Bekool - a place where creativity, intellectuality and avant-garde meet through a programme of varied activities. Casa Bellota - creative workshops with a different style in the contryside. Detente Madrid - shows you the coolest neighbourhoods in Madrid through their shops, people and stories. La Carnicería - whose motto is "life is better with art", tries to bring photography closer to the public by hosting art shows in bizarre places, like food markets, and offering good prices. Likemind Madrid - (likemind) organise breakfast meetings once a month in Madrid for people to do networking. Madway - original tours around Madrid, by foot, bike, roller-blades or any other ecological type of transport. MAEN Músicas y Artes Escénicas Niurka - Music, dance and movement workshops. Photobook club Madrid -a place to share your passion for photography books. Segway Trip - Segway tours around Madrid. For those of you who could not attend, we hope to see you at the next openhouse. ¡Do not miss it! Last Wednesday evening, Zuigo opened its doors to a few selected visitors to present its platform. The idea behind this openhouse was not just to present our project to potential organizers, but to also provide the framework for them to create synergies amongst themselves, as we believe that innovative ideas can easily arise from these type of encounters. The evening took place in a very relaxed environment, in a loft in a very hip area of Madrid, where we shared wine and some dim sum while we talked about the business, shared ideas and got to know each other. The participants learned about Zuigo, but also had the opportunity to meet other likeminded organizers, who are trying to differentiate themselves in a very competitive market, in which originality and "savoir faire" are key to creating great experiences. The event was very productive, everyone had a good time and we were all delighted to find out about all the interesting projects that are taking shape in Madrid. We would like to thank Pequeña Cocinera, La Gatomaquia, Cenas Clandestinas, Gonzalo Para, Manuela, Javier, and, Yolanda and Remi from Caixa Forum, for their attendance. For those who weren't able to attend, we hope to see you at the next openhouse on the 11th of July. Don't miss it! Zuigo is a great way to find new things to do and organize your own events.